This is Dan Girardi's game worn sweater from Brian Leetch night on January 24th, 2008 at Madison Square Garden in New York. This home blue sweater was worn by Girardi in the 3rd period of the game vs. the Atlanta Thrashers. 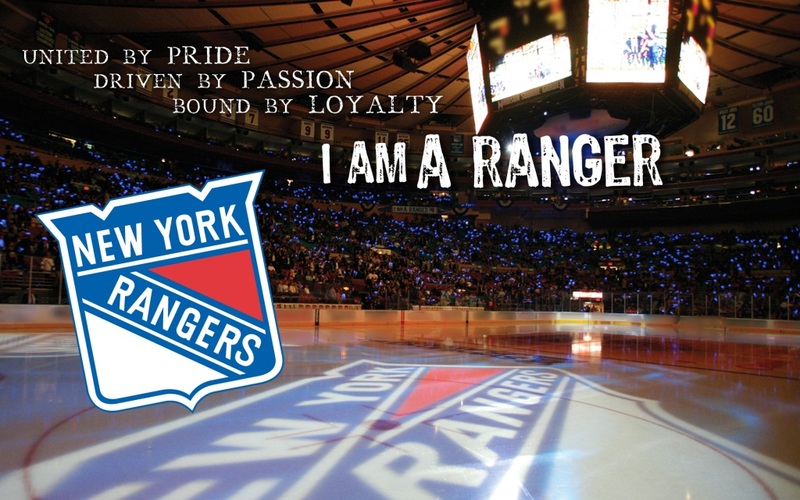 The Rangers beat the Thrashers in a shootout 2-1. This G sweater shows very light use as would be expected from a sweater only worn in one period. The sweater is a great early example of the original Reebok Edge 1.0 that was abandoned by all teams for the ultra fill material. 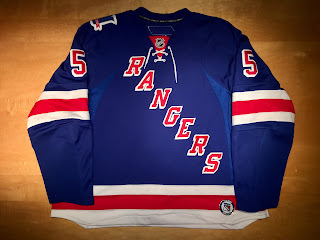 The Rangers equipment staff also hemmed the early Edge sweater to give it a neater look on the ice. G logged 19:47 of ice time in the game and took 26 shifts not registering any points in the game. The sweater is registered to the MeiGray authentication system and has the set tag in the hem. Also the fight strap has the number "3" written on it which indicates that it was worn in the 3rd period. Girardi has also signed the number 5 on the back of the sweater with a black sharpie.